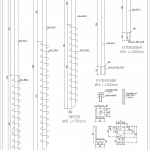 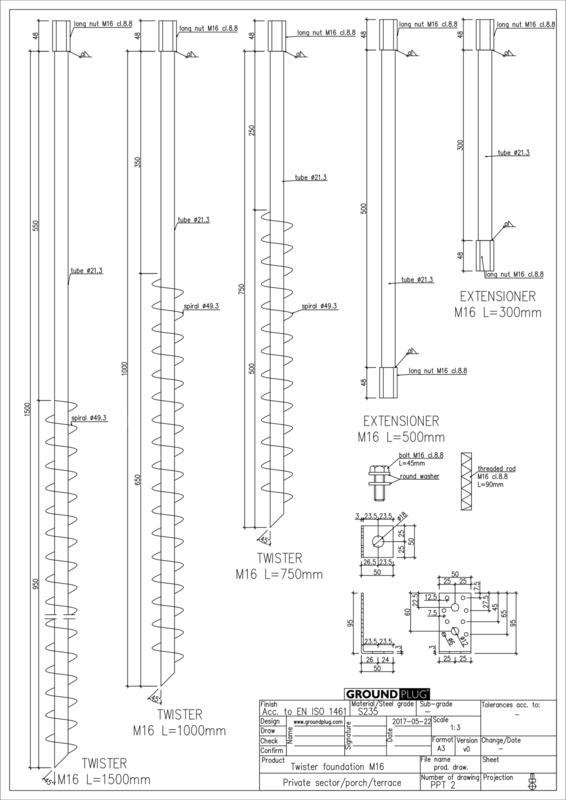 GroundPlug® TwisterTM M16 is our second largest TwisterTM screw pile series (for the private market). 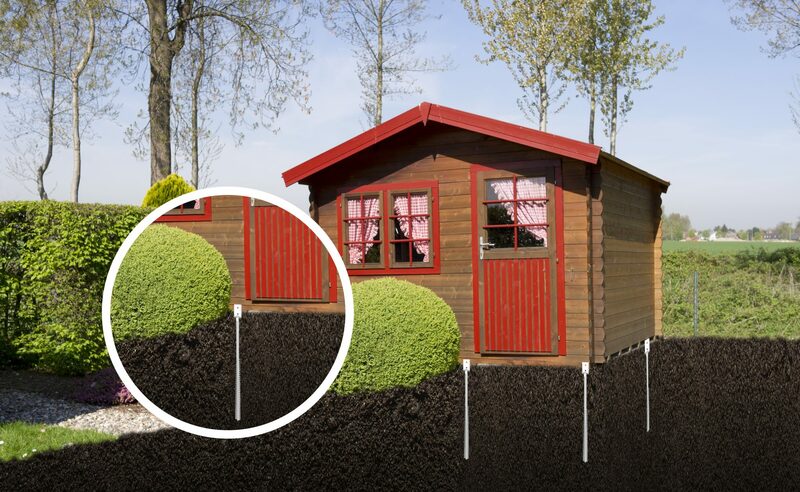 We recommend this series for all soil types and sloped terrain. 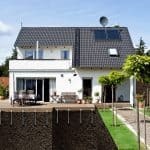 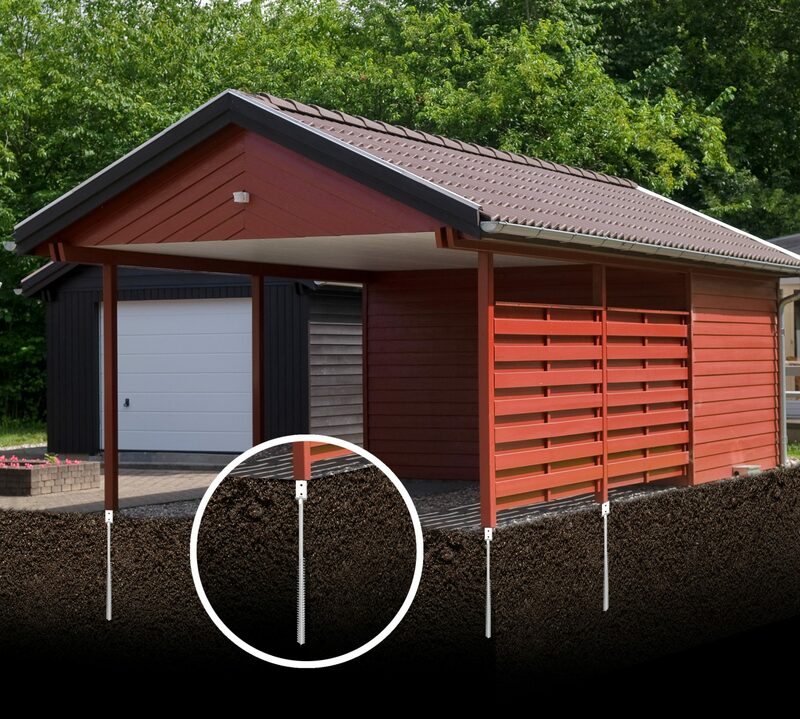 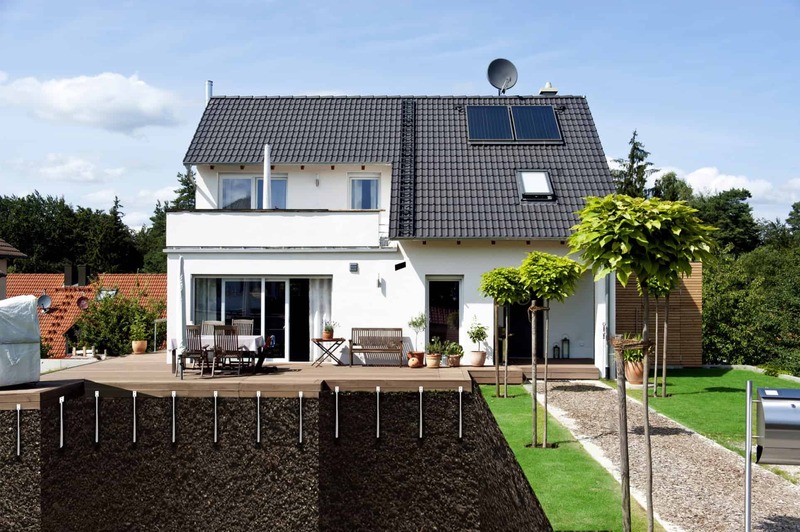 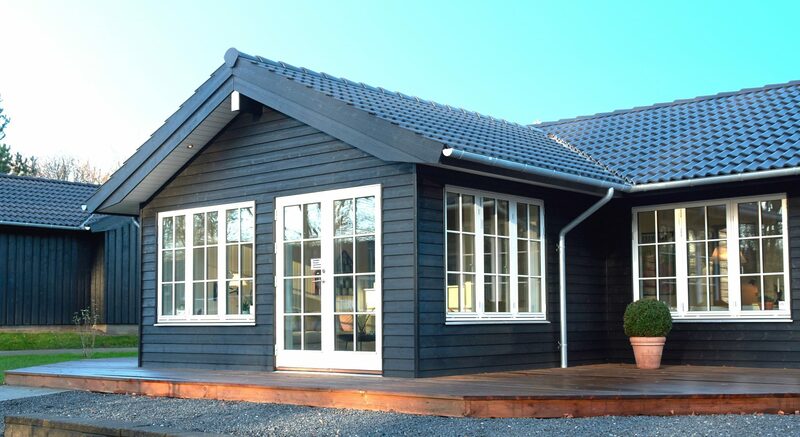 The GroundPlug® TwisterTM M16/1000mm is the right choice for larger wooden constructions such as cabins, annexes or garages or if you need to reach a bit deeper to get into bearing soil layer. 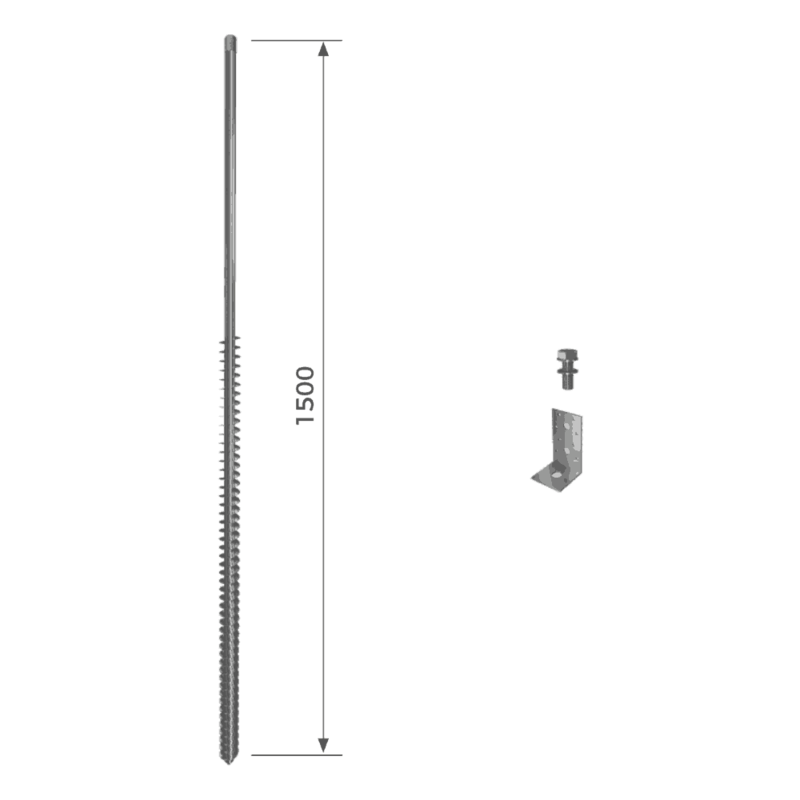 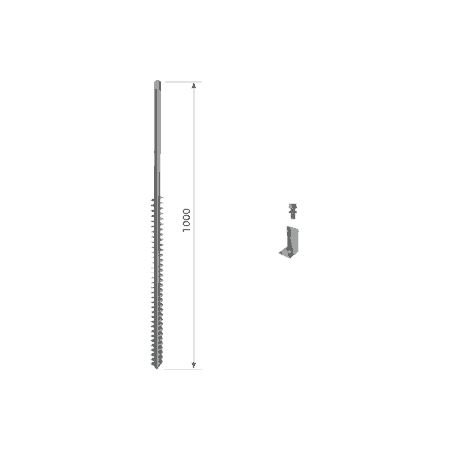 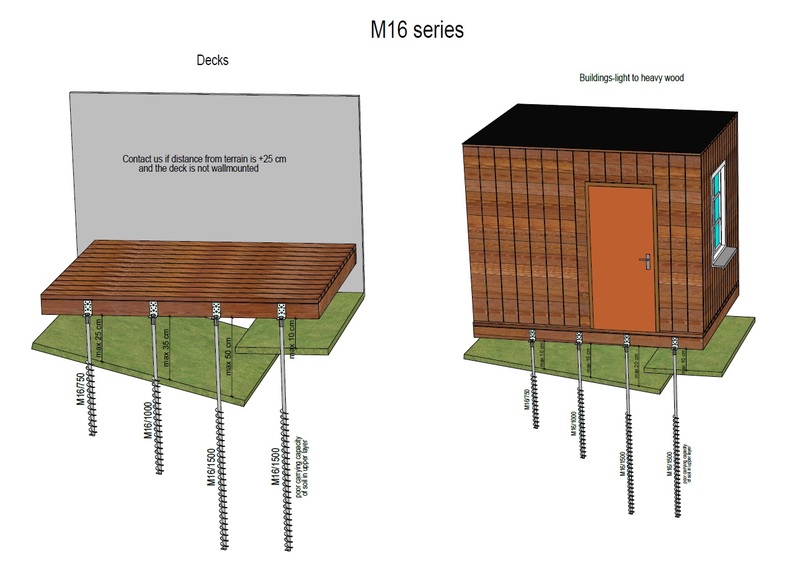 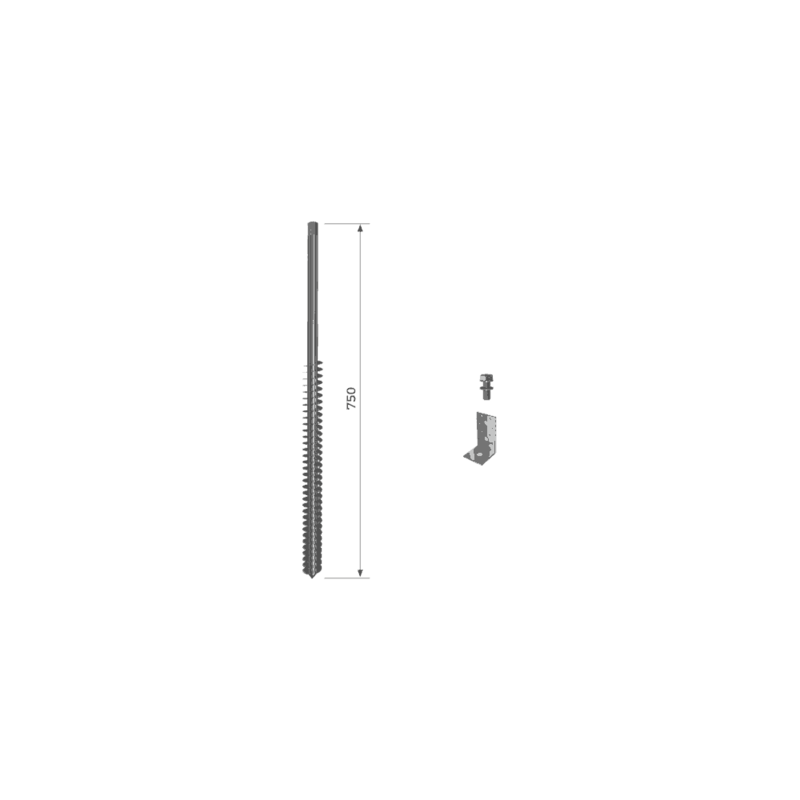 Distance from terrain level to mounting point up to 35 cm for flat constructions like decks and walkways and 15 cm for upright construction such as shed, annexes etc. 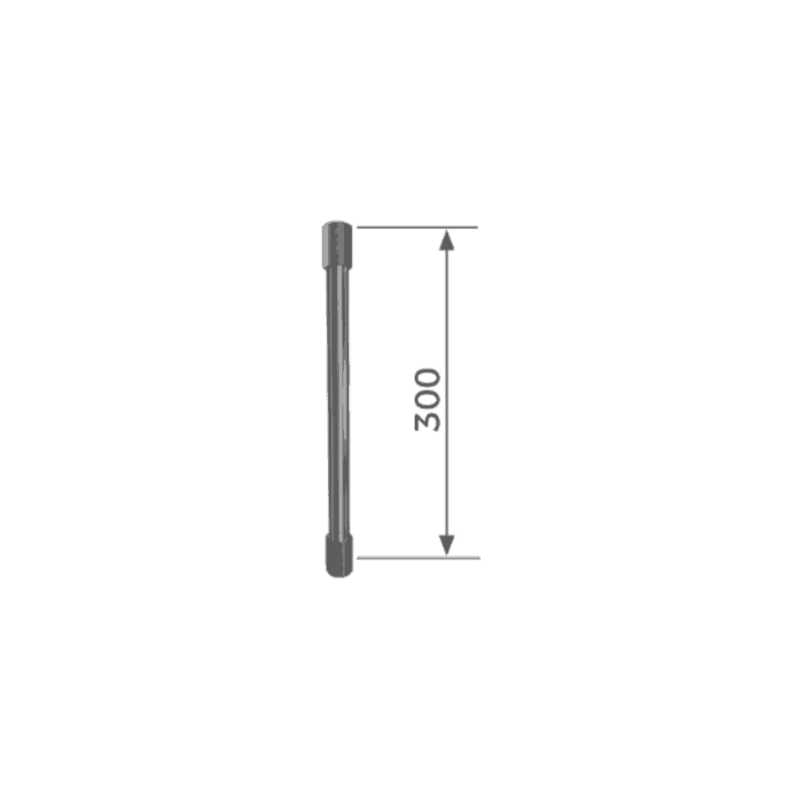 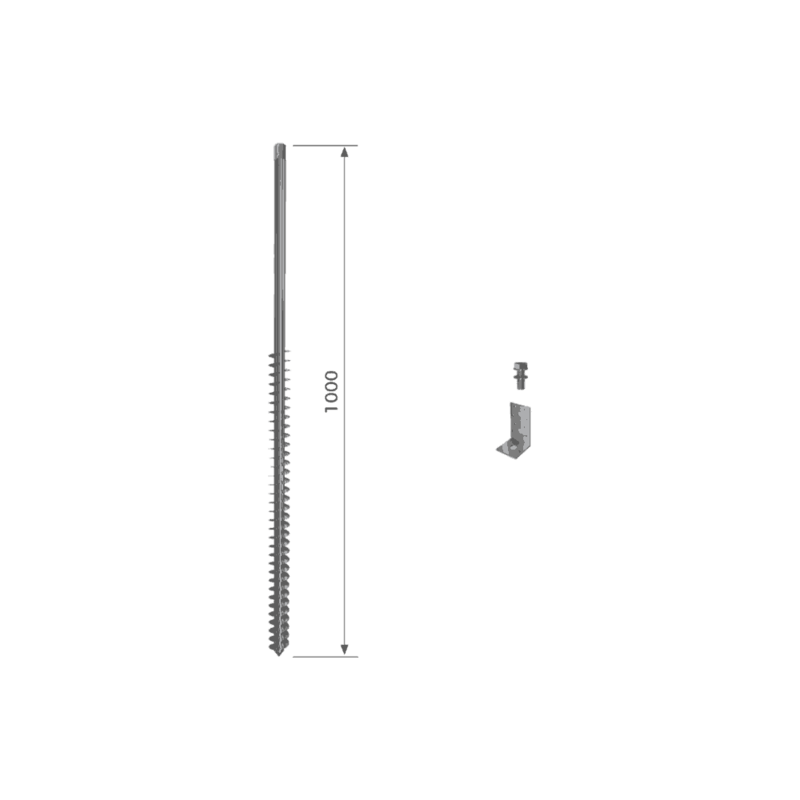 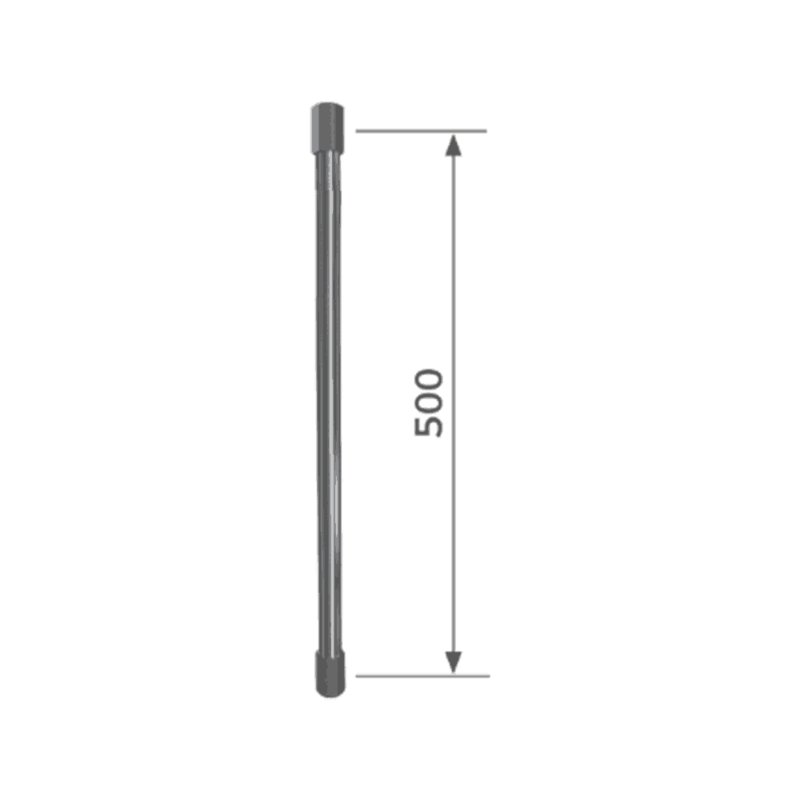 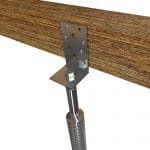 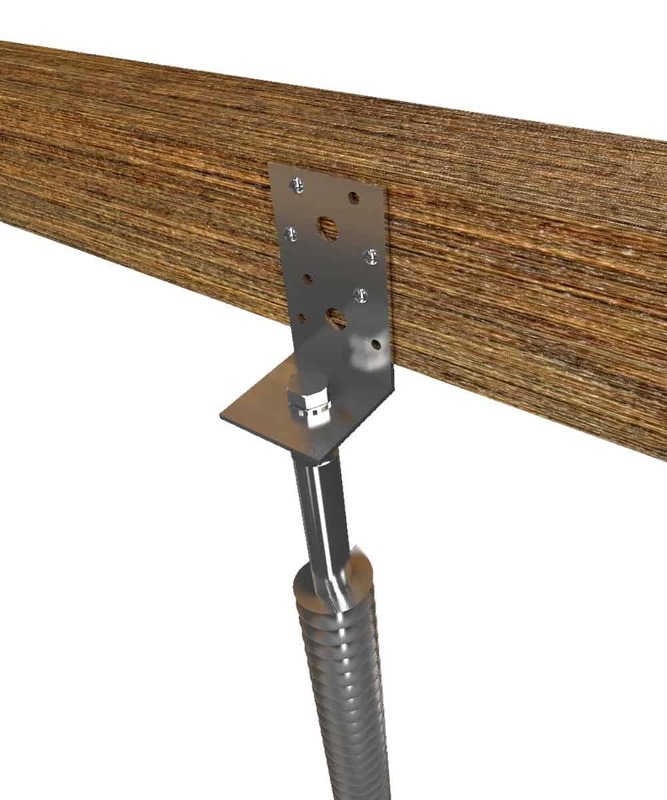 Choose this screw pile footing for projects like heavier/bigger shed, granny flats, cabins, decks or walkways with more than 35 cm terrain distance, or for sloped terrain in general.